Janakpur, which was historically called Mithila, is said to be the birth place of Sita, wife of legendary hero Ram. Janakpur is usually thronged by worhippers and devotees during the Bibah Panchami festival. 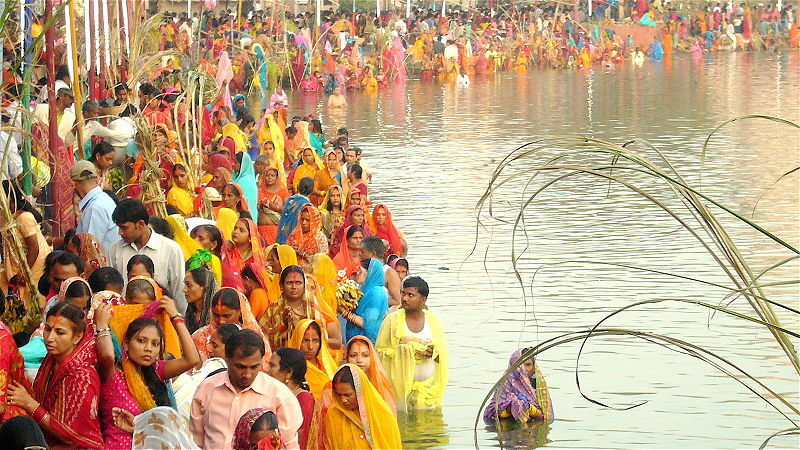 This festival is held to commemorate their wedding, and the main event is the re-enactment of the exhange of wedding vows of Sita and Ram. Janakpur is located south-east of Kathmandu near the Indian border. This is where the sole operational train of Nepal can be seen. Temples and numerous ponds with religious significance can be seen here as well. The Janaki Temple dedicated to the goddess, Sita, is the main attraction in Janakpur. Legend has it that the spot where the temple is standing is the same exact spot where Sita and Ram exhanged vows. During the Bibah Panchami festival, the temple is lit by hundreds of oil-lamps. Janakpur is the center of Hindu pilgrimages and many colorful festivals are celebrated here such as the Rama Navami, which is the birthday of Lord Rama. The Mithila culture is also alive and thiving in Janakpur. In fact, it is estimated that two million people still speak in native Maithili. People residing here are renowned for their wildly artistic and colorful paintings. Many of the pilgrims who travel to Janakpur are from India and some of their important festivals are also held here, such as the Diwali and Dhashara. Janakpur is one of the sacred places for many Hindus. If you would like to bear witness to the devotion of people to their deities as well as join their vibrant, colorful festivals, then travel to Janakpur.